Last night I was listening to Jay-Z’s Magna Carta Holy Grail, an album that, surprisingly, everyone seems to hate but me. And I’m the High Priest of Hateration. I made that up in like .0000000001 second. I wonder how long it takes him? I yearn for the days when guys could sing AND their lyrics made sense. I’ll be more specific. I yearn for the days of Silk. Don’t front like you don’t remember my boys. They always let their intentions ring out loud and clear. No bizarre Rick Rawse hungry-man metaphors here. Turn back your clocks. It’s Silktime. In the early 90s, a quintet was formed with the hopes of reshaping R&B. Tim Cameron, Jimmy Gates, Johnathen “John-John” Rasboro, Gary “Big G” Glenn, and lead singer Gary “Lil G” Jenkins were called together under the tutelage of one man. Actually, THE man. Keith ‘Freaking’ Sweat. 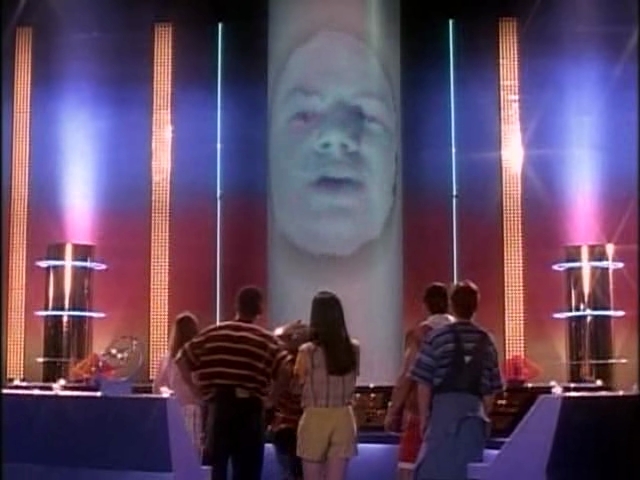 It was like when Zordon made the Power Rangers. Silk’s giant robot thingy? That was their first album, Lose Control. Silk’s debut dropped near the end of 1992, with Keith handling the majority of the writing. The first single, “Happy Days” was a modest hit. But their second single? That’s when the game changed. Two decades later and “Freak Me” still blows the hinges off the doors. Lil G OWNED that track. Even the old ladies at church were feeling it. “Freak Me” was massive hit, scoring the No. 1 spot on the pop and R&B charts. But Silk wasn’t done. “Lose Control,” the title track, was another bedroom burner, reaching No. 4 on the R&B charts. Don’t front like you didn’t try to hit the song’s high notes. “Girl U For Me” “It Had to Be You” and “Baby It’s You” followed, easily launching the album to platinum status. In 1994, the group contributed “I Can Go Deep” to the A Low Down Dirty Shame Soundtrack. It didn’t make much noise on the charts but it’s a favorite of mine. It’s like I told you – with titles like “I Can Go Deep” and “Freak Me,” there was never any question where Silk’s mind was. Straight in the gutter. I’m not complaining. They make the gutter sound good. Silk dropped their self-titled sophomore effort in 1995, featuring a bar of soap on the cover. Um. OK. The group is named Silk, not Suds, people. “I Can Go Deep” was included on the set, but the proper first single was “Hooked On You.” I’ll be honest, I wasn’t a fan of that track back in 1995 – that annoying siren in the background made my ears bleed. But it’s really grown on me in the past 10 years. “Don’t Rush” was a better predecessor to Silk’s freaky slow jams. Both were moderate R&B hits and Silk still sounded absolutely amazing, so The Soap Album was considered a minor success. In 1999 Silk released their third set, Tonight. Now if you’re a fan of this column, you know that the coming of the millennium meant the death knell for 90s R&B groups. They just couldn’t keep up with the evolving times. Not Silk, though. Exhibit A: “If You (Lovin’ Me)” was an instant smash, their biggest song since the fabled “Freak Me.” It reached No. 13 on Billboard. Exhibit No. 2: “Meeting In My Bedroom,” which had a strong showing on the R&B charts as well. And it’s yet another song that had y’all imitating their insane vocals. Anyone who claimed R&B was dying in 1999 was proved dead wrong. “Let’s Make Love” rounded out the set, again pushing it to platinum status. Silk was on top yet again. Two years later, Silk released the appropriately titled Love Sessions. By now, y’all know how Silk operates – it was all about the ladies. Although the album sold well, reaching No. 2 on the R&B charts, it lacked the hits we were accustomed to. “We’re Calling You” was oddly annoying, like the guy who gets a cute girl’s number and harasses her on the phone 20 times a day. I wasn’t feeling it. After the release of Love Sessions, Silk was dropped by Elektra records. In 2002, citing those oh-so-pesky “creative differences,” Lil G left the group to pursue a solo career. That wouldn’t have been a bad idea five years earlier but the game had changed by then. Still, he was undeterred, dropping a solo project, The Other Side, in 2007 and also hooking up with the savior of many ailing R&B stars, Tyler Perry, to appear in his plays. Tyler Perry – helping old R&B acts eat since 2000. Lil G also formed a “supergroup” called Blayse with Terrell Phillips (formerly of Blackstreet), Marc Nelson and Tony Grant (formerly of Az Yet). If Silk were the Power Rangers, those dudes were the Go-Bots. As far as I know, they never released any music officially. Meanwhile, the remaining members of Silk pressed on. In 2003 they dropped, sigh, Silktime. I’m sorry playa, but that album title makes no sense. It’s not a catchy pun or witty phrase. It would be like me naming my album Eddtime or BowsersongsonCD. They just threw random words together. Sort of like Frank Ocean. Hmmm… Also, the album cover looks just like The Soap Album, except somehow even cheesier. Who authorized that sad clip art? Silk Version 2.0 needs to do better. Anyway, the album was merely OK. The guys still sounded strong but they seemed to be missing something *cough*LilG*cough* and the set practically went ignored. In 2006, the quartet returned with Always and Forever, an album of covers. Also, the ubiquitous bar of Silk soap is back, this time looking like a big ol’ Werther’s Original. Anyway, “Secret Garden (Seduction Suite)” was a respectable cover but there is NO WAY it could match the original. It would have been more fun if they experimented a bit instead of mimicking the original note for note. Silk seemed ready to fade into the sunset. But just as the clouds were at their darkest, they began to part and sunlight slowly appeared. And guess who made that happen? The savior is back! Things have come full-circle, playas. Keith invited Silk AND Lil G on tour with him and bonds were mended. Silk has reunited, and of course, there’s talk of new music. See, there’s actually a happy ending to this column. For once. Should They Come Back? If there’s a Lord that listens to my prayers, YES. Throw Keith in the studio with them and I guarantee magic will be made. And knowing their music, many babies will be made too. I don’t think they can top the “Tonight” album! I cried at “Werther’s Original”…That “Tonight” album was straight lubricant. Big G and falsetto on Meeting in My Bedroom was EV-ER-RY-THANG! I used to be able to hit those falsetto notes usually done by Big G and ”JohnJohn”, but haven’t practiced for a few years. I’ve recently started again, though, so hopefully I’ll be able to work my way back to that! If Silk ever comes out with new music (and especially if Keith Sweat produces it and ”Lil G” is at the head of the group,) this guy would definitely buy it! Yes they need tobhurry up and come back. Stop lying!! Or you met the knockoff group wannabe Silk. These guys are the most fun and respectable men you will ever met! Getting invited backstage would be an honor. If you didn’t get the invite backstage that’s cool, perhaps next time but don’t be bitter and try to drag their names in the mud. Please bring them guys back to life!!! Playa’s Road is one of my favorite songs! Y’all songs is still going stronger thin ever.it back the old Day.when I were in High School.and Remember for me.my first love. No group on the planet had the magic that this group had. After all these years, i am still in love with Silk. Your music and talent is still unmatched. I still to your songs. “Lose Control”, Girl you for Me and Meeting in my bedroom….still to this day my favorite songs. Love yall….please come back. Still in love with John John and Lil G. The chemistry that yall have is bananas!!! Silk is back with the new album titled “Quiet Storm”.. This cd is great! It’s good to still have the original members and the original vibe.. love it!!!! The bar soap…the Werthers…OMG you have me dying over here!!! !